Lena Dunham scores with Random House while Penguin seeks repayment on book deals gone sour. If you’ve evaded living under a rock this past week, you’ve probably also heard about the bidding war over Lena Dunham’s forthcoming book of essays that resulted in a $3.5m payout for the author (slash director, slash actress). Yes, now aspiring young authors can join the ranks of aspiring young film makers made green with envy by the talented Miss Dunham. But all we can think of is that, for her sake, it better be good, given the example that Penguin set in court last month. The largest advance of the list went to Ana Marie Cox, who founded the political blog Wonkette. In 2006 she signed a contract that totaled $325,000 to write a “humorous examination of the next generation of political activists.” Now, because she didn’t deliver, Penguin is suing to reclaim the $81,250 advance it paid her, plus $50,000 in interest. Hopefully her correspondent jobs at GQ and The Guardian compensate her as handsomely (we’re guessing that they probably do). A controversial plaintiff in this series of cases is Holocaust survivor Herman Rosenblat. In 1996, Rosenblat and his wife appeared on Oprah to tell the miraculous story of their meeting and falling in love. Per the story, Herman survived his imprisonment as a child in the concentration camp Buchenwald thanks to a young Roma, his future wife, who threw apples to him from the other side of the fence. Years later, the two met again in New York on a blind date and fell in love. Unfortunately, their tale is as implausible as it sounds. When news of the faked story broke, Rosenblat was due to release a memoir through Berkley Books, an imprint of Penguin. The publishing house then cancelled the release of the book and now aims to collect the would-be memoirist’s advance of $30,000, with an additional $10,000 in interest. 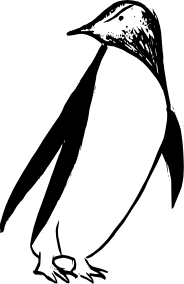 Penguin is also seeking repayments from Elizabeth Wurtzel, author of Prozac Nation, for a teen book on depression that she never produced; New Yorker journalist Rebecca Mead for a $50,000 deal she agreed to in 2003, and never fulfilled; and Conrad Tillard for the $85,000 paid to him for the memoir of his “epic journey from the Ivy League to the Nation of Islam,” also never completed. The Smoking Gun has more on those. Here’s hoping Lena Dunham never ends up in the same hot water, given the massive amount she’d be held accountable for. We’re pretty sure she’s doing just fine, though. On another note, um Penguin, how bout sending advancements some other writers’ ways? I know several who’d fulfill their contracts for you. Just sayin’. Thoughts on advances, the repayment of advances, and celebrity book deals in general? Sound off below! Gah. She’s already so full of herself. Yes, talented, yes, brave but I don’t think she’s close to being worth 3.5 million. And perhaps a little bit green to be putting out a $3.5m advice book, no? I mean, how big is the market of people looking for advice from a 26 year-old?